If thereʼs one thing that drives Spanish learners to confusion, at any level, itʼs the subjunctive. Therefore, after summer holidays, most of our students have asked us for going over this verb mood that we use willingly and regularly, in all registers (it is not reserved for formal or written language). The Spanish subjunctive mood is used with impersonal expressions and expressions of opinions, emotions or points of view. It’s also used for expressing denial, disagreement or volition as well as for describing situations that are doubtful or unlikely. We mostly use it in subordinate clauses (for example, in a phrase introduced by a conjunction such as “que”, “como”, “cuando” or “si”). It conveys the idea that the action of the subordinate verb is regarded as unreal in some way: impossible, possible or probable, hypothetical, desired, requested, due to take place in the future. 1 – The main verb expresses negation, doubt or disbelief: No creía que vinieras a la fiesta. 2 – The main clause says that the subordinate clause is impossible, probable, incredible or doubtful: Es imposible que haya aprobado todos los exámenes. 3 – The subject of the main verb wants, requires, asks, needs, allows or orders someone else to do something: Quiero que te pongas este uniforme para trabajar. 4- The main clause says that the subordinate clause is necessary or desired: Es necesario que la Policía intervenga en la pelea. Le di a Carlos el paquete para que te lo llevara a ti. Se llevó el regalo sin que nos diésemos cuenta. Mis padres se marcharon antes de que me despidiera de ellos. 6 – The subordinate clause describes someone or something in the main clause that does not or may not exist (yet): No había nadie que bailara mejor que ella. Cuando sea mayor, me compraré una moto. Estudia donde quieras, a mí no me molesta. Lo solucionaremos como mejor nos convenga a todos. 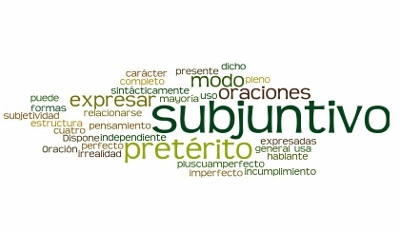 8 – The subordinate clause is introduced by “si” and expresses some hypothetical condition (past subjunctive only; never say “si + present subjunctive”): Si hiciera ejercicio no estaría tan gordo. No me gustó que viniera a mi boda con su nueva novia. Está muy bien que la hayan contratado en el hospital. 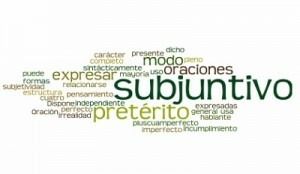 If you want to learn how to use the subjunctive, try our free trial class and you’ll see how easy it is!